I was born in 1973 and hunt minerals since I was 8 years old. My Grandpa and my parents took me to Rauris Valley in our holidays and at the age of 12 I found my first rock crystals. I live in Linz and a little village near Salzburg. I have a enchantress by my side and I am proud father of one son. I collect minerals from Austrian Alps and fluorite from all over the world. 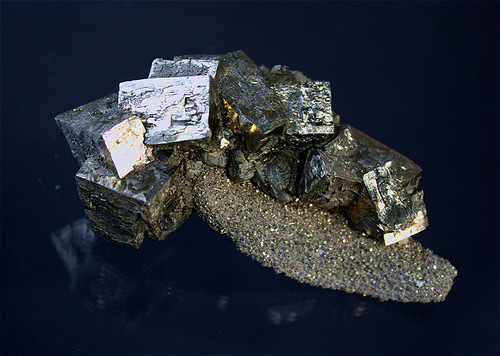 In 2008 I start to photograph minerals and I hope you enjoy my images, at least the newer ones. I am looking forward to receive any information about fluorites and it will be my pleasure to hear from you. 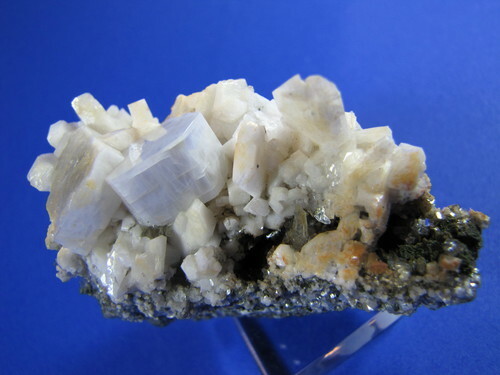 This page lists Martin's favourite minerals, localities and photos. All lists in alphabetical order. Martin has not added any yet. Grey sharp apatite crystal with mirrorfaces and highest luster with white pericline and small quartz crystals on "Glimmerschiefer". 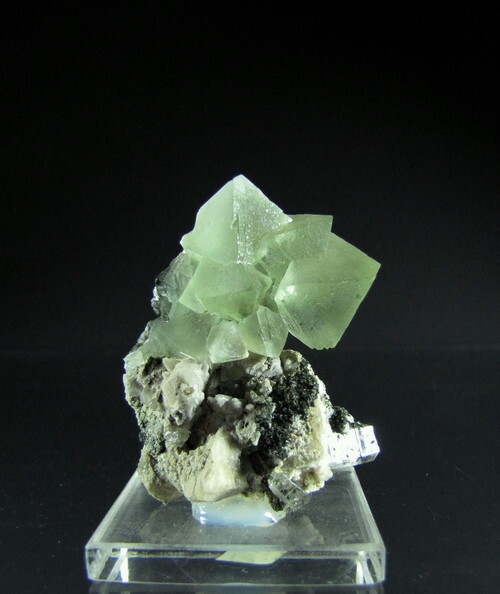 Green intergrown fluorite octahedrons up to 15mm along the edges resting atop calcite-quartz matrix. 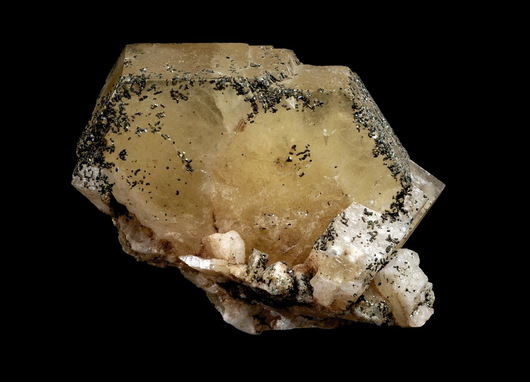 Minor prehnite layer above calcite and chlorite is present. 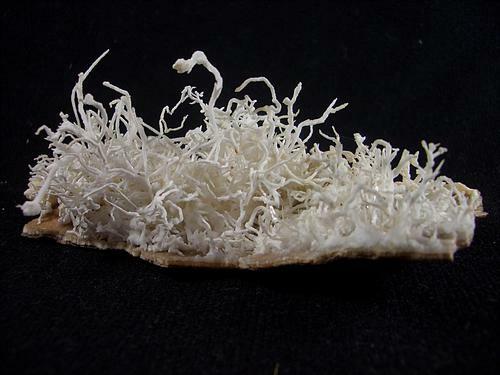 A small but striking specimen of aragonite with thin coral like branches, absolut damage free and complete all around. 92mm x 50mm x 25mm. A perfect lustrous floater in best quality, high translucent and glossy and well formed. Simply gorgeous!!! Martin Gruell Alpine Collection. Photo Anton Watzl Sr. Many xls +1cm, high gloss, lustrous, dark orange and undamaged, Ex Dallinger. 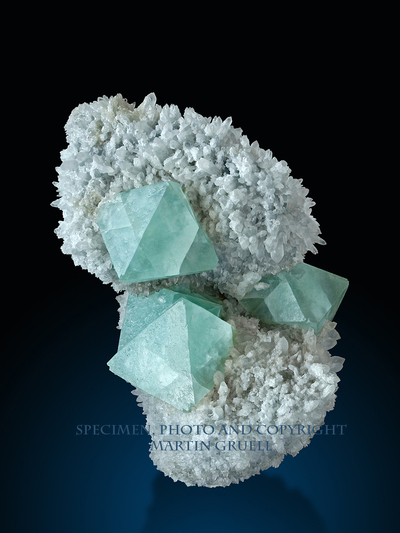 Martin Gruell Alpine Coll., Photo Anton Watzl Sr.
43mm x 24mm x 8mm. A perfect floater. Lustrous, very glossy and high translucent. You can see the pleochroismus very well. 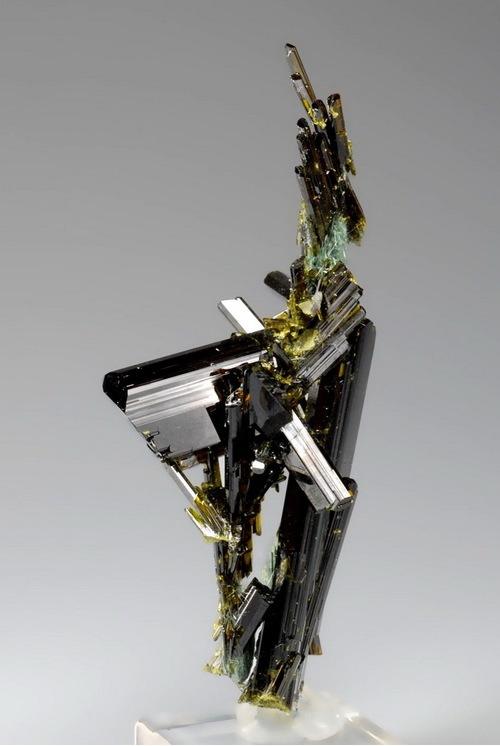 Epidote from Söllnkar are rare and hard to obtain, they show a quality, you can compare with Knappenwand. Martin Gruell Alpine Collection. Photo Anton Watzl Sen.
60mm x 42mm x 57mm. The crystal is sharp, very lustrous, translucent and shows a colour like ivory with a touch of pink. 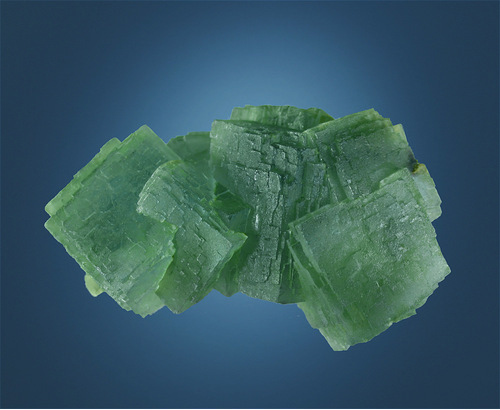 The specimen is an undamaged floater and one of the largest apatite which were ever found in the Habach valley. Ex Kirchtag, Ex Watzl Coll. 93mm x 39mm x 32mm, up to 23mm on edges. The locality was found in the late 80ties. This specimen belongs to the absolutly best from the location. Ex Anton Watzl Sr. Coll. 47mm x 25mm x 46mm. 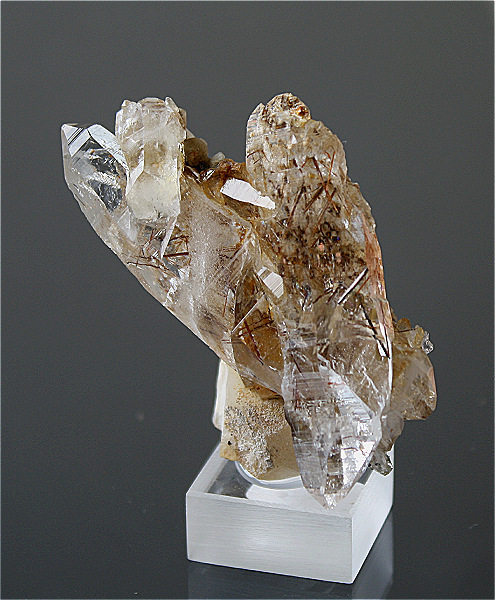 Two double terminated rock crystals (47mm and 53mm) resting on a single crystal of calcite. 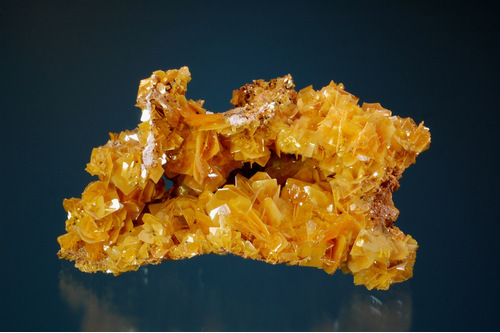 The rock crystals are very glossy and clear. Internal and on the rock crystals are dark red rutiles. Specimen is a floater. It was found at Moderegg, near the Hirtenhütte between Hochtor and Hocharn in August 2008. A group of intergrown fluorite-hexaeder up to 30mm on edges. Nearly all specimen from the top of weisseck show violet colour, so this one is really rare stuff. 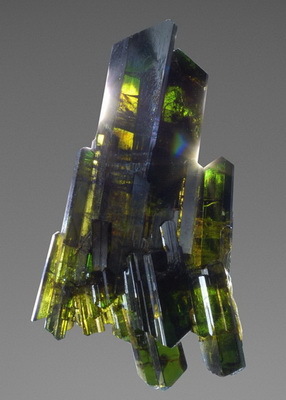 The crystals show dark green colour with a touch of blue. The faces are frosted and show waxy luster. Undamaged floater. It was found during the shooting for the documentary film "Stoanfexen" in 2004. Martin Gruell Alpine Collection. Photo Gruell. Martin Gruell does not currently have any sponsored pages.